I think you mean "Today's English lesson for people who use English as a second language, and elementary school children." What a secluded life you must lead. Are you implying that I am unaware that many people who use English as a first language have bad grammar skills? No, you were implying that. I was merely commenting on your own implication. How do I wire an infinite improbability drive to my parents' van? Positive infinity to red, negative infinity to black. Any Canadians here? Happy Canada day, anyway! 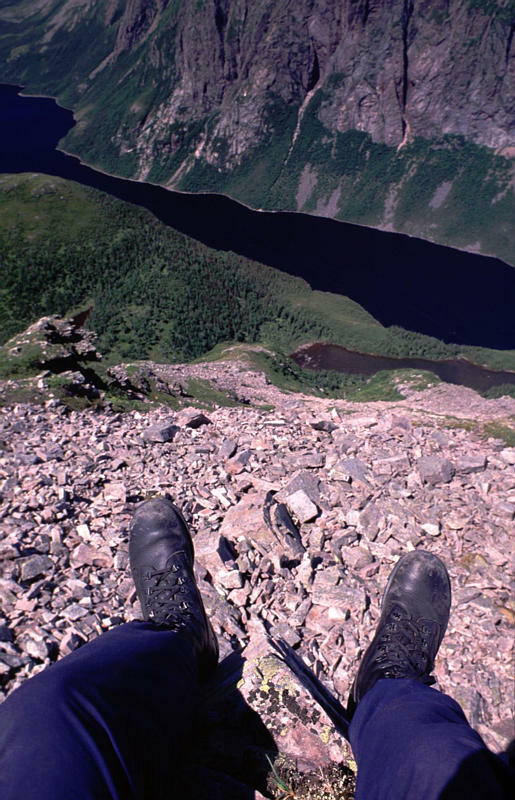 I spent Canada day in 1999 hiking in Newfoundland. Nice weather. I spent Canada Day in 1999 in the womb. All joking aside, that looks like wonderful hiking weather. 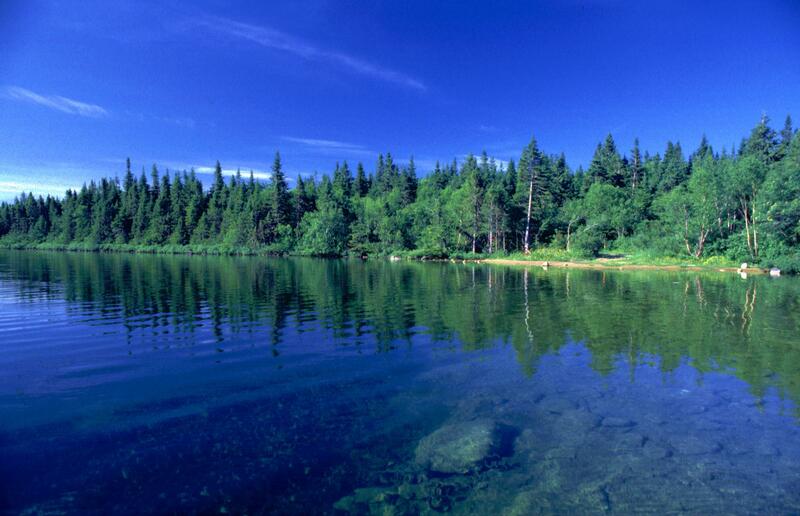 I'd like to spend some time in Canada myself someday. Why hasn't Canada hired you for their tourism department yet? These look great! EDIT: Especially the last one; the composition of the image is great, the blues separated by the forest both on the land and in the reflection, the way you can see through the water up close while the rest is reflective; this is a really good shot! That would be Earth's twin, RS 8404-JUST-TRY-ALL-NUMBERS-HAHA A.3. While the visibility was exceptional (I don't even see contrails), what also helps is a polarising filter. Other than that, there is no trickery with the colours. SE needs proper fjords! Someone call Slartibartfast? 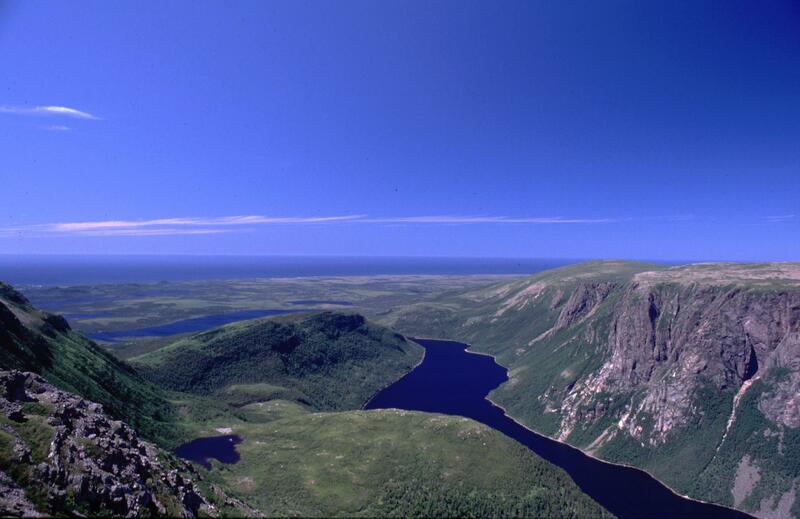 The place is Gros Morne national park. The tourist brochures claimed that the area resembles Norwegian fjords, so I had to check it out. While the U-shaped glacier carved valleys and fjords felt familiar, the description didn't quite fit, but a lovely place nevertheless. Not quite as deep as many places in Norway. Around 700 meters, I think. Since this is the totally off-topic thread, how I got there is this: I joined a Norwegian sailboat in the US planning to go to the Vinland site at L'Anse aux Medows, then to the Brattahlíð settlement in Greenland and along the western coast. But since I had to be back in Norway by a certain date, and sailing does not follow timetables, I had to have a couple of options for getting home. 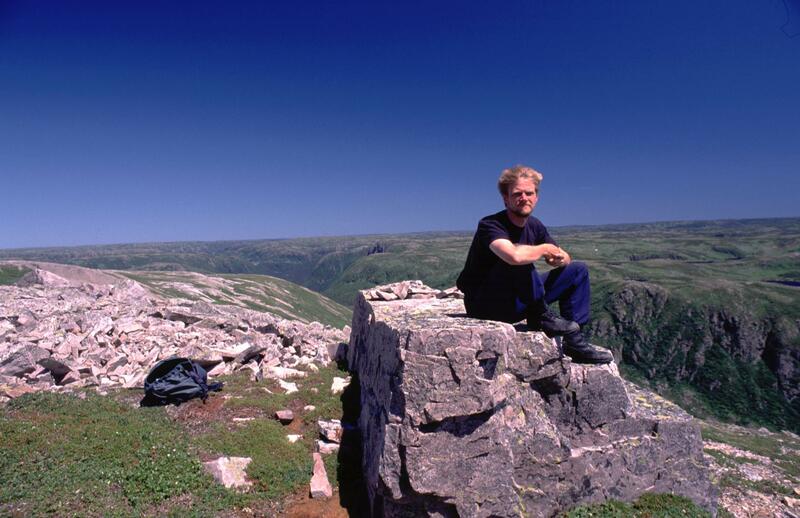 I would only reach Greenland if everything went smooth, not likely, so I expected to hop off somewhere along the Labrador coast. The closest flight I could find back towards Norway was from Halifax, so I booked a flight from there and brought timetables for the ferries south from Labrador. I also booked a flight from Greenland. Since unexpected things always happen while sailing, it turned out that I had to leave the boat in Newfoundland and cancel the Greenland flight. 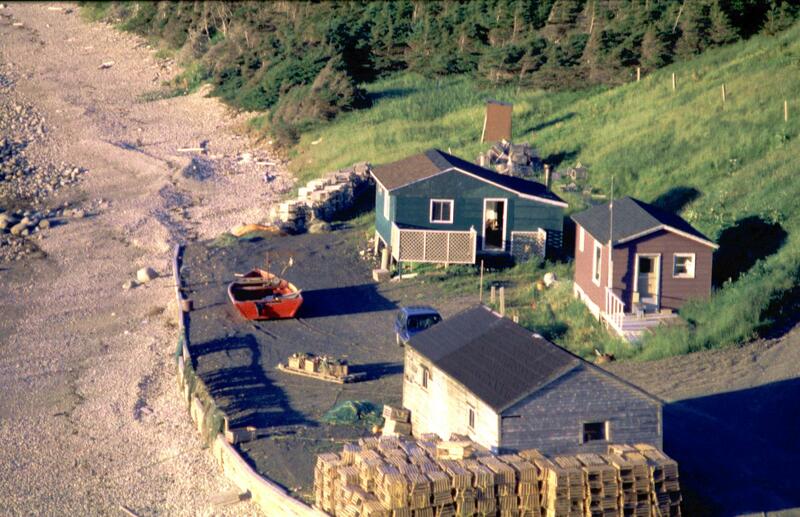 I actually left in Sidney in the north of Nova Scotia six days before the flight, to get a chance of getting to L'Anse aux Meadows and back, which would be quicker by land. So I left and jumped on a ferry to Port aux Basque in the extreme south of Newfoundland. There I realised that I only could do the trip in time by renting a car. That was a big dent in my budget, but I didn't have a tent and the car would also serve as a place to sleep and at the time that felt luxurious and spacious compared to the past weeks in a 27' boat with three other guys or simply under the open sky on a quay when we were stuck at land for repairs. Fast-forward to the conclusion of this story: I made it to L'Anse aux Meadows, saw a few Greenlandic icebergs, and was happy but tired and also in a hurry to reach Halifax in just two days. I drove south, interrupted by a few hours of sleep, got on an overnight ferry back to Nova Scotia unable to sleep since I didn't have a cabin. Then found transport to Halifax with a few hours spare before the flight (I went to the university to find a computer so I could check my e-mail for the first time in a month, of course). I got on my flight bound for Reykjavík totally exhausted, and I immediately fell asleep (which is a rare thing for me on flights). The next thing I remember was the airplane touching down. I looked out of the window. To my surprise it was dark and this was obviously not Iceland in early July. 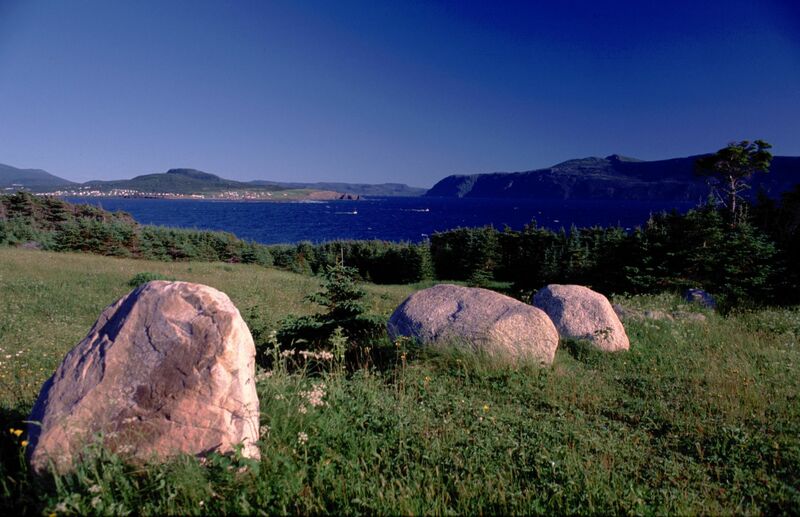 It turned out, and I hadn't the faintest clue, that the flight had a stop in Gander, Newfoundland, not very far from where I had rushed past 48 hours earlier. A bit more research could have saved me two exhausting days. Wow midtskogen, that looks like some fantastic hiking! I would just love to see the Norwegian fjords someday. Or New Zealand's. Last year, I played a lot of runescape. I decided to join a clan. It was nice and everyone was friendly to me. Then, the clan leader called us all six into an underground place. He started talking about "how you all mean so much to me" and that were his only friends. I had only been in that clan for about a week. Then he started giving us lots of very precious stuff. Then he ran away from there and logged off. Later apparently the clan leaders sister logged on and started asking if we had seen him. Once we told her what happened she said that he went out with his car. She said that he is very lonely and is depressed and suicidal. She went to get him with her car, and then he logged back on, apologizing to us and giving more free stuff. He was obviosly crying during that moment. Then he logged off and nobody saw him again. He never logged back on and we never heard of him in any other way. This is all a completely true story.